Sweet dreams are certain when baby's room is dressed with romantic accents and inspiring sentiments. 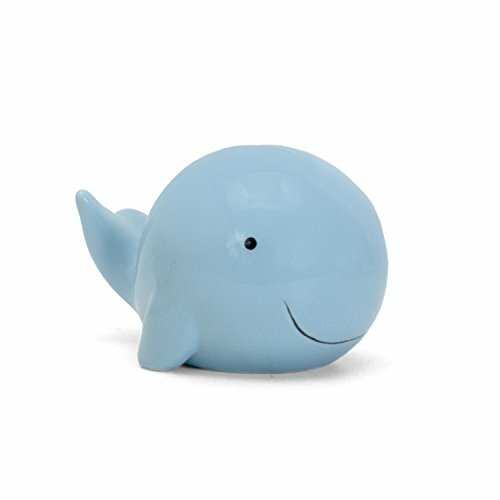 Elegant Charm collection of new gifts and room accents for baby girls and boys. Romantic, elegant styling and eclectic materials and details lend sophistication. 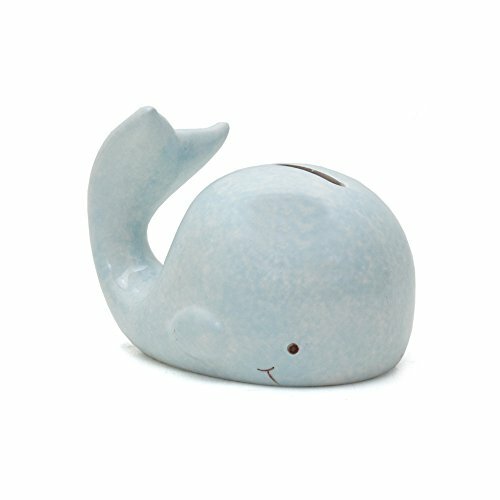 Sentiment-driven pieces are perfect for gift giving. 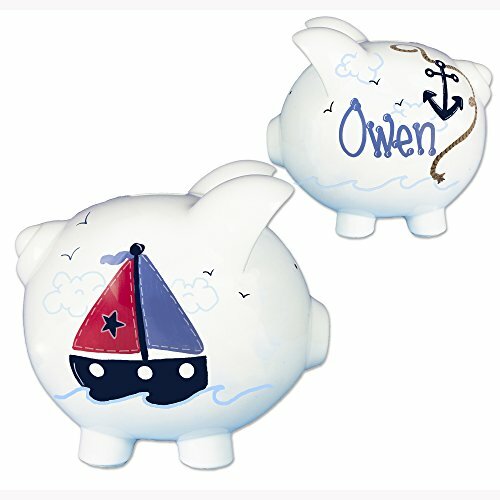 Our Hand Painted Personalized Sailboat Piggy Bank is personalized just for you with Certified Lead Free Paint. Coin slot on top takes folded dollar bills too. 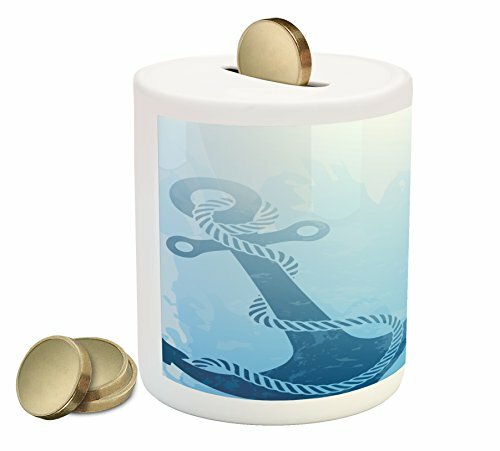 Removable rubber/plastic plug on the bottom for early withdrawals. 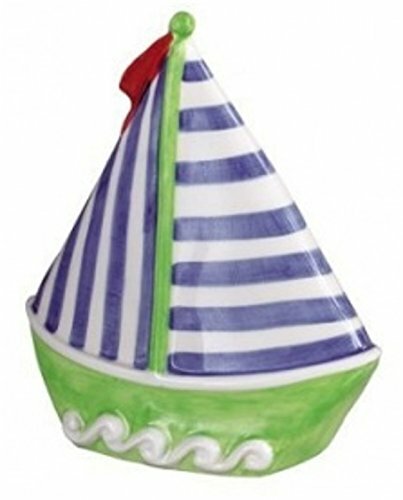 Ceramic Sailboat Designed Bank. 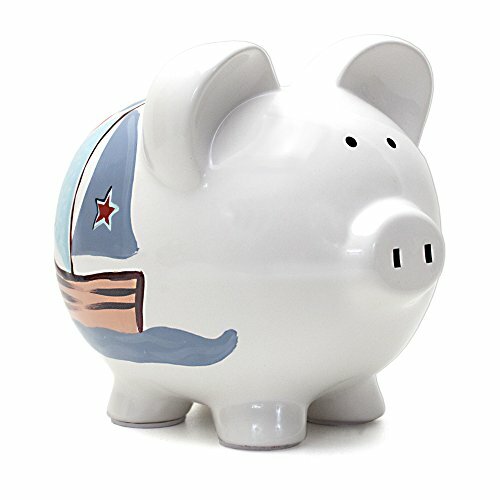 Coin Bank, Piggy Bank. Approximately 7 Tall and 6.5" Wide . 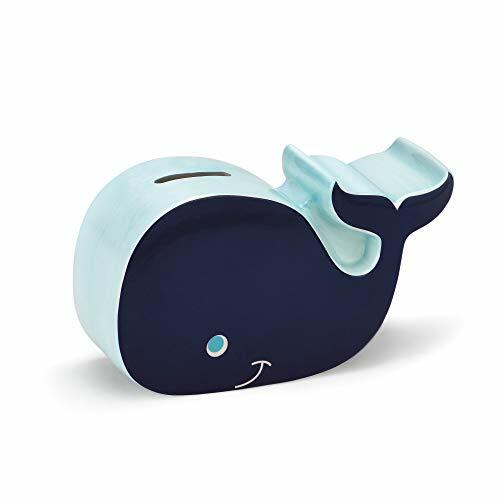 Baby Aspen's Sailboat Porcelain Bank is everything but a simple boat shaped piggy bank! 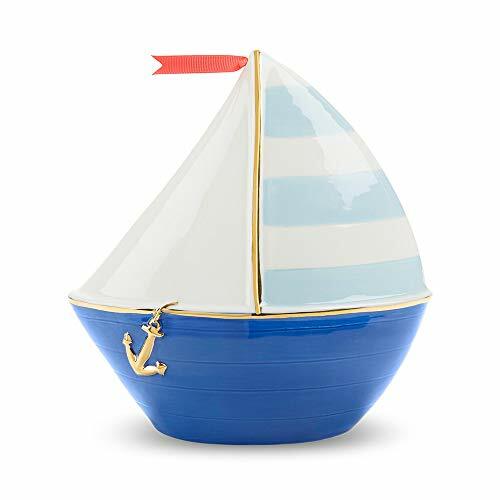 Designed with a white with light blue stripes sail to compliment the white back sail, a red ribbon flag tops of a gold mast, and a deep shade of navy and accented with a gold rim and anchor detail on the boat's hull. This elegant nursery decoration is made from classic porcelain that your little one can grow with as they go from the crib to a college dorm room.